Inter appear better and more capable than at any point since the treble-winners played out their swan-song. It's funny how perceptions change. Inter are 11 points behind Juventus and have lost to Sassuolo, Parma and Atalanta this season. Last year they were top of the table, undefeated and went to Turin at exactly the same stage of the campaign and got a creditable draw. Results-wise you could be forgiven for thinking the Nerazzurri have regressed. But the overall impression is altogether different. Inter appear better and more capable than at any point since the treble-winners played out their swan-song. The club also now has the backing and the management structure in place to usurp Napoli and Roma as the pretenders to Juventus' crown. Make no mistake they have a lot of catching up still to do on and off the pitch but the team's prospects are encouraging. 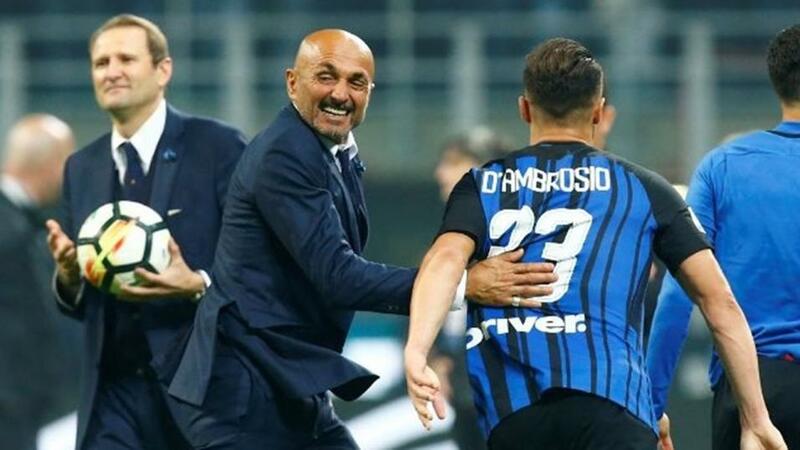 In Luciano Spalletti's time in charge the Derby d'Italia has always been competitive. The 0-0 at the Allianz last December was followed up by a classic at San Siro in April when 10-man Inter came back from behind to lead 2-1 going into the final three minutes only for a Milan Skriniar own-goal and Gonzalo Higuain header to swing things back in Juventus' favour, sealing not only a memorable victory for the Bianconeri but dealing Napoli a psychological knock-out blow in the title race that they never recovered from. Neutrals hope Inter make Juventus sweat again on Friday. The front page of Thursday's Corriere dello Sport summed up the mood of a nation. "Everyone says: Forza Inter." Because if Juventus drop points and Napoli take care of business against Frosinone we might be able to talk about a semblance of a title race, particularly as the Old Lady runs the gauntlet between now and the winter break with the Turin derby, Roma and a trip to Atalanta to come. These two teams have seven clean sheets a piece this season, reason enough perhaps to back a repeat of last year's 0-0. You can find that priced on the Exchange @ [11.5]. With both Dortmund and Schalke already through to the next round of the Champions League, the pair of them can give Saturday's Revier derby their undivided attention. In some respects, it's remarkable what a difference six months can make. Last season Dortmund finished behind Schalke and qualified for the Champions League by the skin of their teeth. Flash forward to the present and they now find themselves 19 points ahead of the Royal Blues and in pole position in the Bundesliga. Odds of them winning the title for the first time since the height of the Jürgen Klopp era have shortened to just [1.84] with reigning champions Bayern, currently nine points adrift of the Black and Yellows, trading at [2.44] on the Exchange. Lucien Favre's side are understandably installed as favourites for Saturday's clash in Gelsenkirchen after winning eight of their last nine in domestic competition. The Swiss maestro's attention to detail is making all the difference and Dortmund remain undefeated with the winter break just a fortnight away. Things have stabilised at Schalke after losing their first five Bundesliga games of the campaign. The board stood by Domenico Tedesco and have been rewarded with qualification for the Round of 16 of the Champions League. The team has clambered away from the relegation zone in the Bundesliga but lacks consistency. Schalke have won back-to-back games in the league just once this season and their home form is a microcosm of the team's campaign as a whole: three wins and three defeats. Take Dortmund to conquer the Veltins Arena @ [2.22]. Bit of a niche suggestion here. It's a relegation six-pointer in Serie A but what makes the game significant is the bearing it will have on the future of Bologna coach Pippo Inzaghi. More was expected when he was appointed in the summer. Instead the Felsinei have been grim to watch and find themselves in the drop zone. Empoli have already taken emergency action in a bid to steer them away from trouble and so far it appears to be working. Beppe Iachini has picked up seven points from nine since replacing Aurelio Andreazzoli and seems to be transitioning from promotion specialist to escape artist after keeping Sassuolo up last season. Empoli have always had goals in them and Ciccio Caputo is belatedly showing he can be as prolific in the top flight as he has been in Serie B for years. The same cannot be said for Bologna. Only Frosinone and Chievo have found the net on fewer occasions than Inzaghi's side who are underperforming their xG which is closer to mid-table than the bottom of the classifica. The team's finishing has let him down which might in turn tempt him to come out of retirement. Publicly the club has pointed the finger at veteran players no longer pulling their weight. But last weekend's 4-1 defeat to Sampdoria felt like one of those games that are hard for any manager to come back from. Tuesday's big win in the cup was welcome but piling on a Crotone side languishing in 15th place in Serie B isn't enough to alter to complexion at the Renato Dall'Ara. Take Empoli to win @ [2.02].